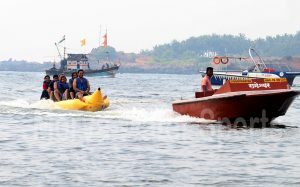 Speed boat is a adventure and craze among the tourists coming to visit Malvan. Speed freaks who love to flirt with the water can’t resist getting into a speed boat. 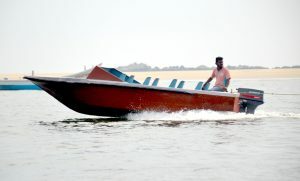 These speed boats can carry six to eight people at a time and can be used as a transportation medium. Speed is a very common passion amongst the adventure lovers. If jet skiing is not enough for your speed thirst then move over to speed boat. More powerful, more faster, its a great group activity. There are three to six people in the boat and you get this golden opportunity to not just thrill with the speed but also explore the Tarkarli and Devbag coastline. Fast and furiously racing against the water, speedboats give a sense of excitement that lasts for long. So, hold onto your hats and get ready for an unforgettable journey. A journey that teaches you to maneuver a roller coaster on water. Banana boat rides is one of the most fun-filled water sport activities in Devbag. The banana boat comprises of an inflatable boat, which is shaped like a banana, which is attached to a motor boat. It can seat approximately 4-6 people. Once everyone is seated in the boat, the boat takes off in water. As soon as the motor boat sprints into the water, the boat will toss away the passengers into the water. The funniest thing is that you will find yourself thrown into the water just when you leave the beach and enter the water. After being flung into the water, the passengers will have to pull themselves back into the banana boat. If adventure is what you seek in your holiday, then Malvan will offer you that and much more. There is so much adventure at sight and hidden that you can explore and have a different experience on each day of your vacation, that too full of adventure. With a long coastline dotted with beaches, water sports is an obvious activity in Tarkarli. Jet Skiing is regarded as the ultimate Water sport for speed lovers. It is one of the most thrilling water sports activities amongst all the other water sports. Jet Skiing is done by sitting on a machine, which can be accelerated by using an accelerator. A machine runs this Ski. The engine that is used in this Ski is very powerful so it can be run on much higher speeds. The name of this skiing comes from this only. The Jet Skis differ from place to place. Jet Skis that are available are powered at 100-135 horsepower. Though it has such a powerful engine still the machine has very simple features and is very easy to use. The machine is completely balanced from all aspects, however, one needs to take care and follow the instructions that are given by the operators. Generally the instructors make a pre-defined area in which they do the Jet Skiing. To avoid accidents Jet skies are not provided directly to the tourists. The guide provided with jet ski keeps a lot of check from any sort of accidents happening. 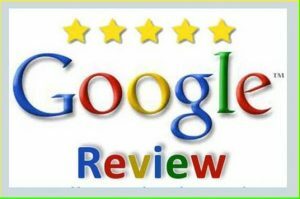 The best part is that this activity does not require any prior experience and anyone who wish to enjoy the thrill of an exciting ride through the waves will find bumper ride as a perfect option. The fun seekers ride these small tube like boats that are powered by gasoline engines or electric power or can be towed by a speed boat tossing against the crashing waves. One of the best day activities in Tarkarli, bumper ride is safe and thrilling alike. These small boats that can hold one or two people offer loads of excitement for anyone who are at ease at water. Bumper ride in Tarkarliis safe for kids too. Safety jackets and instruction provided. Mayekar's Holiday Home. Designed with special care by MWS. All Rights Reserved.